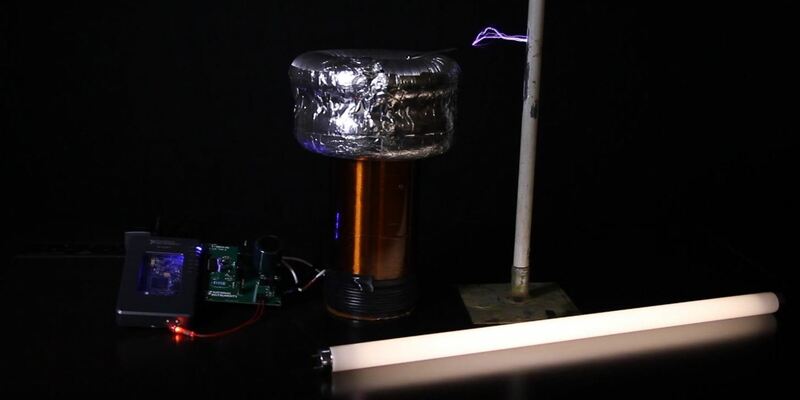 I made this Tesla Coil using the myRIO and LabVIEW. It uses electricity to play the music, which can be Star Wars, Harry Potter or even Hunger Games! The music is played by the spark heating the surrounding air (causing it to expand) then the spark turning off (causing the air to cool and contract). This expanding and contracting cause's longitudinal waves - or sound waves. An FPGA on the myRIO does the real time processing and performs FFTs (fast Fourier transforms) to convert the analogue voltages (taken from it's on-board audio jack) into the frequency domain. Then it extracts the peak frequency of the musical note that you wish to be played. The myRIO then does the required digital switching to play the music! Because it's done using the FPGA, it also means you can use an electric guitar!